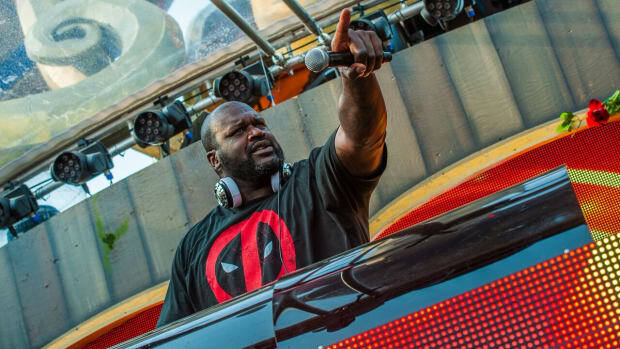 If Shaquille O&apos;Neal has proven anything over the past year, it&apos;s that he&apos;s just as formidable a contender in the EDM world as he was on the basketball court. O&apos;Neal made waves throughout the electronic music community with his surprise set at Lost Lands Festival 2018, demonstrating a nuanced understanding of modern-day bass music. 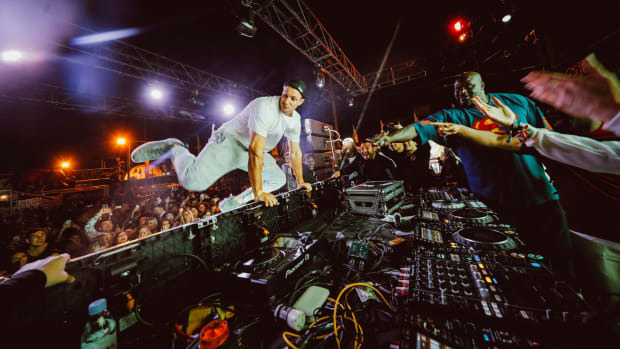 One opportunity led to the next - until earlier in the month, he revealed that he&apos;s got new music with Diplo on the way. The passive music fan may not realize that O&apos;Neal&apos;s music career extends back to the early &apos;90s when his self-titled record went platinum, however. 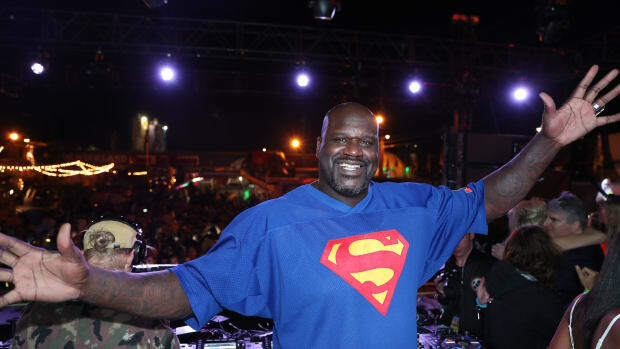 Ahead of Shaq&apos;s Fun House Miami - for which we&apos;re still hosting a giveaway - EDM.com caught up with Shaquille O&apos;Neal A.K.A. Shaq Diesel A.K.A. DJ Diesel to talk about his past, present and future. He also gave us a message to pass along to one of his biggest dream collaborators. The remaining tickets to Shaq&apos;s Fun House Miami are on sale for $149. They include an open bar and free food and are available here. We&apos;d like to applaud you for doing the DJ thing right. Obviously, we know you&apos;d originally taken it up 30 years ago, but since you got back into it you really found a current sound within EDM. How did you hone in on your style of bass music over the past few years? I’ve been around music for a very long time, both as a listener and as a performer. Even back to my times on the court I always would get pumped off what the arena DJs would be spinning. So many times I’d be on the bench nodding my head and getting amped because of the beat. I dabbled in rap, and my 1993 album Shaq Diesel actually peaked at #25 on the Billboard Hot 100 - and it even went platinum. When I stumbled across TomorrowWorld in 2014, everything changed for me and I fell in love with bass music. I came across some of the biggest names in the game such as, Skrillex, Steve Aoki, Carnage, and Diplo, which turned me on to the bass music heavy. Since then, so many fire new bass music artists have come to the scene like NGHTMRE, Valentino Khan, 4B, Snails, SLANDER, SVDDEN DEATH, etc. More than anything, I just love festivals. Seeing hundreds of thousands of people together loving life is like game seven to me. 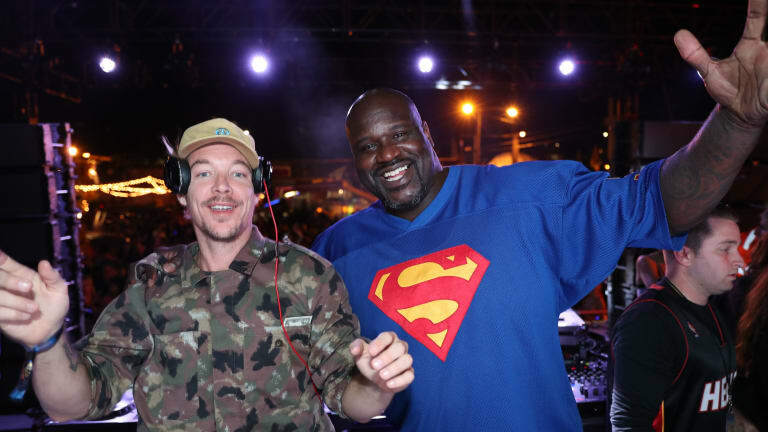 Miami Music Week is upon us, and that&apos;s where Shaq&apos;s Fun House began last year. What are you doing to make this month&apos;s event bigger and better? I started the Fun House because I was sick of the same old parties. With the Fun House I set out to create the best event of all time - more than just a concert - part festival, part carnival, part circus. Last year in Miami I called upon Diplo, Steve Aoki, NERVO, Cheat Codes, Alan Walker, Codeko and many more of the world’s best DJs. We went from 2:00 AM-8:00 AM and the music was just the beginning. We had carnival games, dozens of circus performers, Shake Shack, an open bar, and more. Everyone remembers my dance off with Gronk last year at the Fun House, it was honestly just a blast! My team and I are constantly think of outside-the-box ideas that are purely out of this world, we really stepped it up at the Super Bowl event working with Cirque Du Soleil and bringing in full-scale carnival rides, plus we had Tiësto, Diplo, Migos, Lil Jon and more. Miami is a second home to me though after playing for the Heat, and bringing them a championship, and of course, throwing the craziest party of all time there. This year, anyone coming to the Fun House can expect a bigger lineup (like arena-level acts) - definitely the best one yet - more interactive performers, more circus attractions and more fun! We redesigned the whole setup of our Miami venue from last year and expanded quite a bit, so any repeat attendees can expect to be in for a surprise, too. Your surprise set at Lost Lands made a lot of people take you more seriously. How did you prepare beforehand to make that such a success? Excision is known for his music... because it’s dope, and it’s also very my style. As soon as I heard “Excision is throwing a festival,” I told my team I am playing. Turns out, Excision is a genius and was down to have me out and in such a special way. I spent a lot of time working on my set to make sure I played only the most fire. It is competitive for me and I aimed to have the hardest set of the whole festival. I constantly updated the set as the fest got closer and closer until I was legit sitting in the green room. I scroll through playlists, other DJs&apos; tracklists, SoundCloud, and a bunch of other places to find new music. Lost Lands was one of my favorite shows for sure and I have never seen a crowd quite like that. Your Diplo collaboration was the talk of the entire EDM world a couple of weeks ago. What details can you give us about anything you guys have in the works? SHIPLO. We just have a lot of fun together. We’ve done several Fun Houses together, I have played Mad Decent parties, we have done video projects together, we FaceTime every once in a while, and it’s just good to call him a friend. 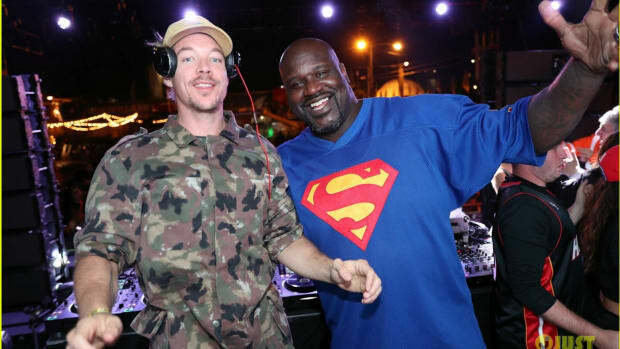 Its funny because I think of him as a legend and he used to watch me play when I was on Orlando before he was "Diplo." He’s no stranger to group performances with Major Lazer, Jack Ü, Silk City and LSD, so it’s safe to say he know’s what he&apos;s doing. There&apos;s something brewing but we’ll see what&apos;s to come. If I was The Chainsmokers, though, I’d be shaking in my boots! You also mentioned that you would like to work with Skrillex. By any chance, did all the headlines about that end up sparking a dialogue between the two of you? Nothing yet, but hopefully soon. Skrillex is one of my favorite artists; I just mentioned how I loved his performance at Tomorrowland 2014. I’m hoping one day we cross paths and make something special. Skrillex, if you ever see this - DM me and let me take you to my new restaurant, Shaquille&apos;s, and then a Lakers game, on me. I know a guy. I have some stuff I want to talk to you about. Besides those two, are there any other big 2019 collaborations you haven&apos;t told anybody about? What&apos;s a common misconception about your DJ career that you&apos;d like to clear up? For those who think I am just a celebrity DJ, you’re wrong. For those who think I don’t actually DJ, you’re wrong. For those who think I don’t know music, you’re wrong. Oh, and for those who think the Fun House can’t get any crazier… you’re wrong. I am the biggest DJ on planet earth, but not the best yet! Its just about having fun for me and putting a smile on peoples faces thats honestly all I care about. Believe me, when I say, there&apos;s a lot more Diesel in your immediate future.